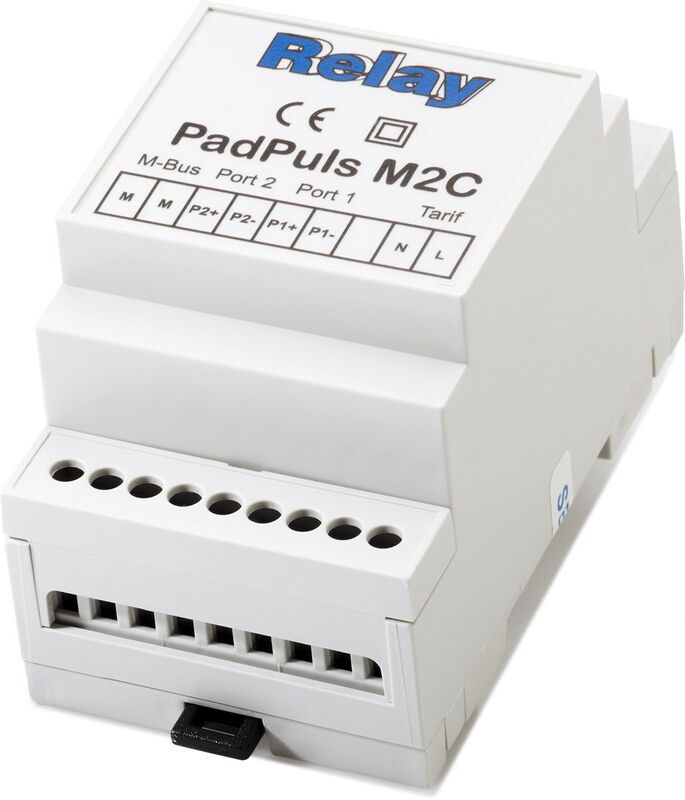 The devices of the PadPuls M2 series adapt up to two conventional meters with pulse output to a M-Bus system. The two counter inputs are nearly free parameterizable and fit in already existing installations. Optionally the user can activate a tariff function, by which energy or volume pulses can be accumulated in separate meter readings for primary and secondary tariffs. O one pulse signal and one changeover signal for the tariff are required, for example out of a ripple control receiver from the electricity supplier. The integrated battery ensures that the impulse adaptor is fully operable, even if the M-Bus network fails. Additional security is provided by the periodic saving of the meter readings in nonvolatile memory. Batterie lifetime 1,80Ah 10 years at max. 250 failure days p.a.